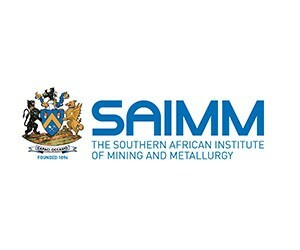 The Southern African Institute of Mining and Metallurgy (SAIMM) will host the SA Mining Supply Chain Conference and Strategy Workshop alongside the inaugural Local Southern African Manufacturing Expo (LME) on 22 and 23 May. The conference Premium sponsor is the Mandela Mining Precinct (MMP) and partners include Mining Equipment Manufacturers of South Africa (MEMSA) and the South African Mineral Processing Cluster (SAMPEC). The conference and workshop are aimed at creating awareness of new supply chain requirements as per the Mining Charter 3, and how capacity and capability in South Africa can be activated to meet these requirements. Further, strategies will be identified to develop local supply chains. LME 2019 will give local manufacturers from South Africa and other SADC regions a chance to not only display their capabilities and capacities to a captive audience, but furthermore it creates a forum for the exhibitors to network with their peers. “The conference and workshop will provide attendees with an insight into the roles and objectives of the MMP, MEMSA and SAMPEC, and the assistance they can provide. The conference and workshop are the perfect complement to the Local Southern African Manufacturing Expo and we believe that the content will have great impact on the local sector,” says Charlene Hefer, portfolio director for Specialised Exhibitions Montgomery. On 22 May the conference attendees can look forward to sessions on the SA mining supply chain in terms of strengths, weaknesses , opportunities and threats; the implications of the Mining Charter 3 for the SA supply chain; successful supplier development case studies; measuring and maximising local content; standardised codes, and export finance. The programme for the Workshop on 23 May addresses strategies to build the local mining supply chain; and the potential role of a South African mining services cluster. The Local Southern African Manufacturing Expo, which is endorsed by the Premier of Gauteng, David Makhura, and the SAIMM conference and workshop will be held at the Expo Centre, Nasrec from 21 to 23 May 2019. Use our social media platforms on Facebook, Twitter #LME2019, Instagram and LinkedIn. To attend the conference and workshop contact Yolanda Ndimande on email: yolanda@saimm.co.za or visit the website www.saimm.co.za.